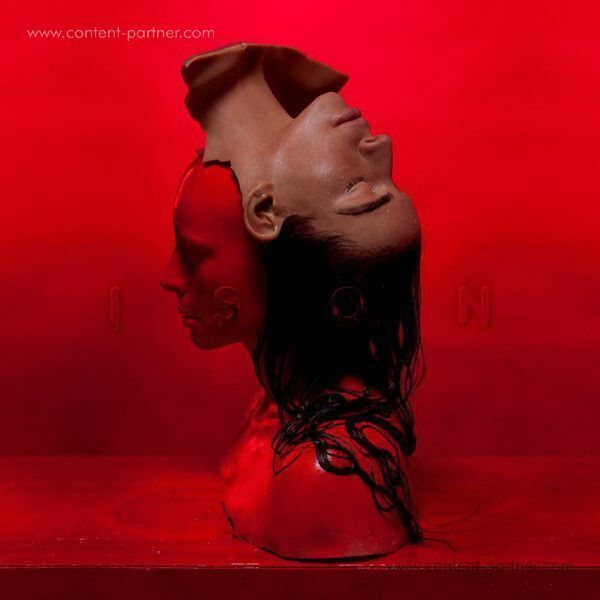 ISON is the debut album of Iranian-born Dutch artist Sevdaliza. After releasing her latest Edison nominated visual masterpiece "HUMAN, and her acclaimed short film "The Formula", next to worldly known 3D experiences for "That Other Girl" and "Marilyn Monroe", Sevdaliza is defining art with her mystical audio-visual experiences. So far Sevdaliza already amassed millions of plays on Youtube and Spotify. She recently collaborated with A$AP Ferg and was also featured on Parisian producer STWO's latest single "Haunted". As much as ISON is about the human experience, it is mostly about Sevdaliza returning to her spirit guided by past lives. By following her intuition, her unconscious guided her on a path which one present form might never reproduce. "All the knowledge that is not of the senses, not of the intellect, not of the heart but is the property that belongs to the deepest aspect of your being." ISON is an experience of that being. Sevdaliza's melancholic visceral voice floats over beds of thumping trip hop dubs, married with classical harmonies and cutting strings setting an enigma. Rhythmic tensions build slowly into chaotic climaxes. ISON has been described as "genrebending", drawing on various genres. Her writing, influenced by intuition and experiences in past lives, has a philosophical questioning character; subjects like spirit diversification and perception of emotion are strongly present. Divine energies blend harmonically within. Sevdaliza plays with the simulation of lives that can hardly be distinguished from truth.